Crystal Cleanings is a large residential cleaning company that offers its maid services to citizens of Washington Area. Its offers are always satisfying, environment friendly and affordable, letting you enjoy the 100% cleanliness and save your money at the same time. One of the most convenient and useful cleaning services, which Crystal Cleanings offers, is apartment cleaning. It includes deep cleaning of any kind of houses, performed by a team of professional maids, who are trained to dispose of any kind of dirt and dust in your house. 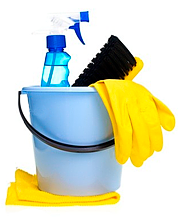 Apartment cleaning is a great option for householders, who want to keep their houses safe and clean within whole year. Once the tenants moves out, you can order our convenient apartment cleaning to make the house look fresh and cozy, waiting for the new inmate. It will help you make a decent impression on those, who want to view the house before renting it, and, in the end, receive more money from them, finding tenants easily. Crystal Cleanings apartment cleaning includes such services as carpet cleaning, window washing, furniture fining, tile floor washing, kitchen washing, bedroom cleaning and a lot of other. For minute details you can contact our managers. Crystal Cleaning guarantee you a 100% satisfaction, because we work with the most professional maids, who are hardworking and friendly specialists, eager to make your house really clean and comfortable. Our efficient and affordable apartment cleaning is the best choice a householder can make, because we are professional in this sphere and offer you the most convenient and complete program, which includes everything needed for your house. We are ready to work hard and neatly, satisfying any of your demands, regarding house cleaning and doing it professionally! Whether you need a good apartment cleaning, contact Crystal Cleanings operators for the most thorough and precise cleaning, which will make your house look like a new one, comfortable and hospitable, letting new arrivals feel themselves at home!